Unique Moments Photography of Gig Harbor Washington opened in Minnesota in 2007. January 2013 was our last winter wedding. The air temp was -12 and it was too cold to go outside that morning for photos. So everything was captured inside this lovely church. 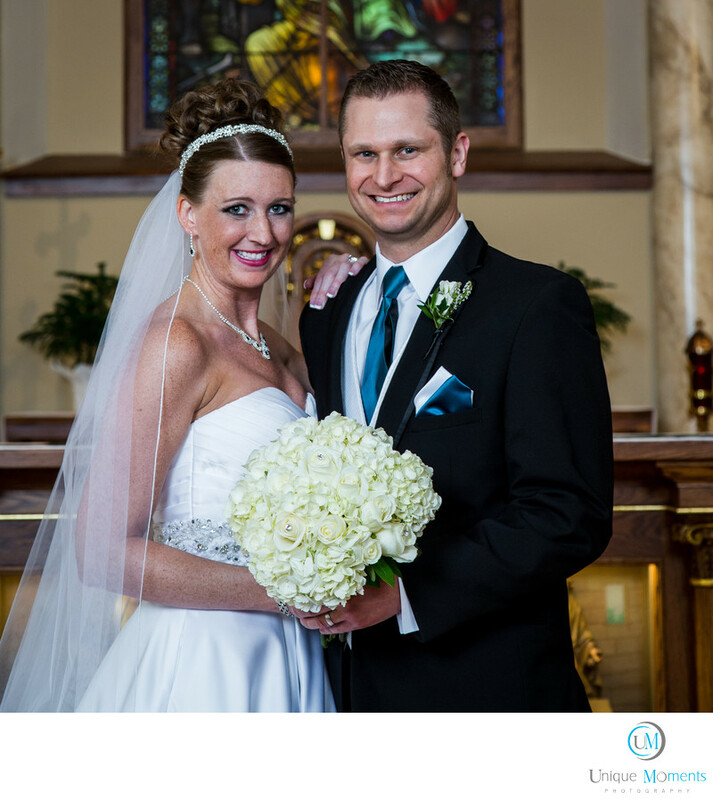 The couple was all smiles for the formals and the church made for great imagery. We did luck out. It warmed up to zero at 2PM so we were able to stop on the way to the reception to capture some fun shots on the Ice. We had a fun time with this awesome couple. Location: 215 W 2nd St, Chaska, MN 55318.